Was a pleasure when I had received Rimma’s mail because she is an excellent computer graphic designer and illustrator of Moscow and to been choice like her photographer for her vacation in Rome gave me proud that she like my photography and my style and elevate my skill. There was a good point of view from Rimma and me about what she wanted to remember in her photographs and the photographic tour to follow so we had began from Colosseum with some classic couple portraits where I had captured their love, then we continued to Circo Massimo where I had shot the most beautiful photo of their session focused on their kiss and the antique background surrounded with a beautiful sky with nice clouds everywhere, such photograph need to be in a frame on your home wall, I said! 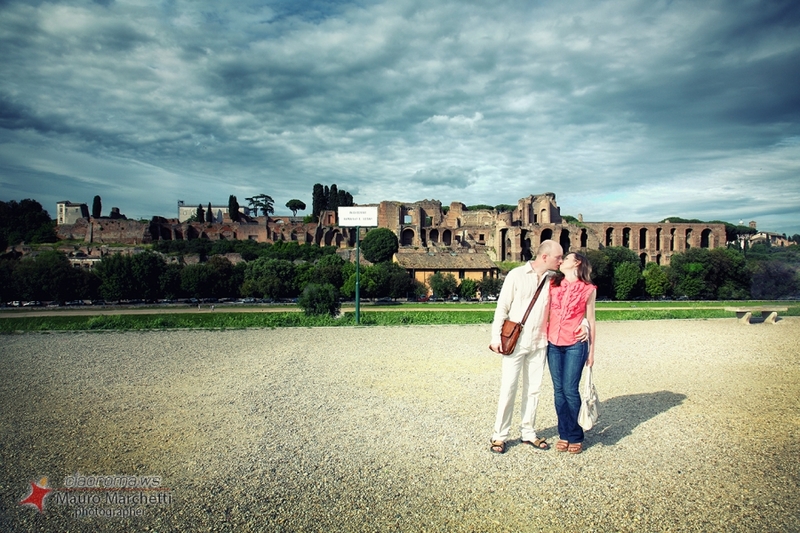 After this nice place we had continued our walk and arrived in Campidoglio where I shot a nice photo with the beautiful roofs panorama and their romantic kiss in silhouette. The walk went on in Jewish Ghetto where we had found a nice square with a beautiful enormous climbing plant and a new red Vespa that seem to be placed there just for our photo, it was like in a magic place! Lost the way in one of the nearest streets we had found a nice courtyard with a beautiful antique stone mask with a fountain, here I had asked them to pose for some alone portrait. We had ended our photographic session drinking aperitivo in Largo dei Librari and try the extraordinary tasty salted codfish filet of “Er Filettaro”. Salutation to Rimma and her husband Vladimir for the time that we had spent together. 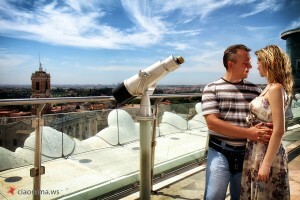 This unique “photowalk” begins in Central Rome with a professional photographer tour guide who will point out the specific details of photography that are oftentimes not seen by the untrained eye. Learn the best places — and the best angles — in which to take pictures on each of the four given routes. 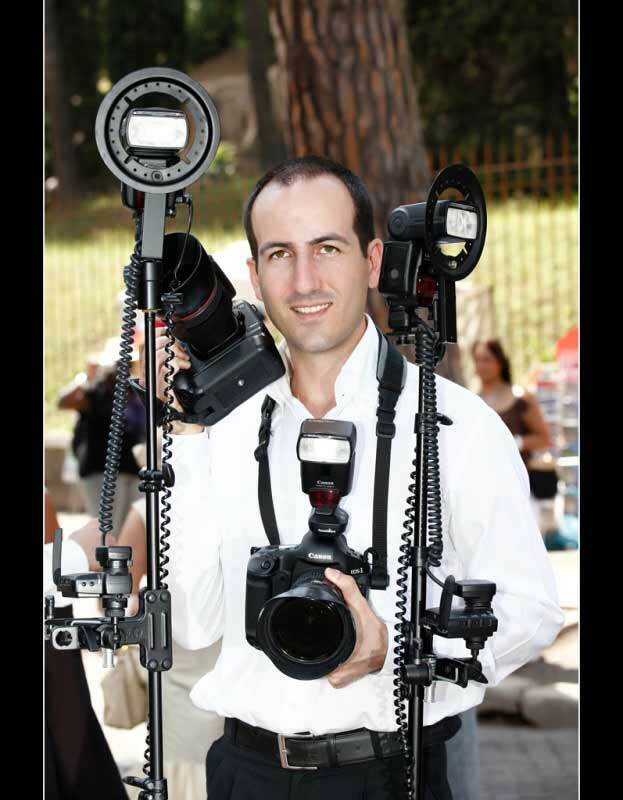 The guide is not only an expert in photography, but also a Rome insider with an in-depth knowledge of the city.